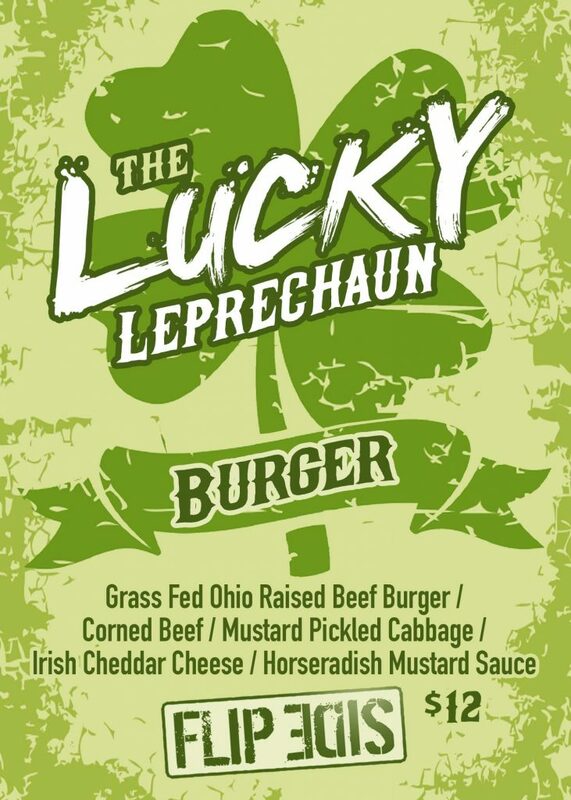 March Specials: LUCKY LEPRECHAUN BURGER & IRISH SHAKE! 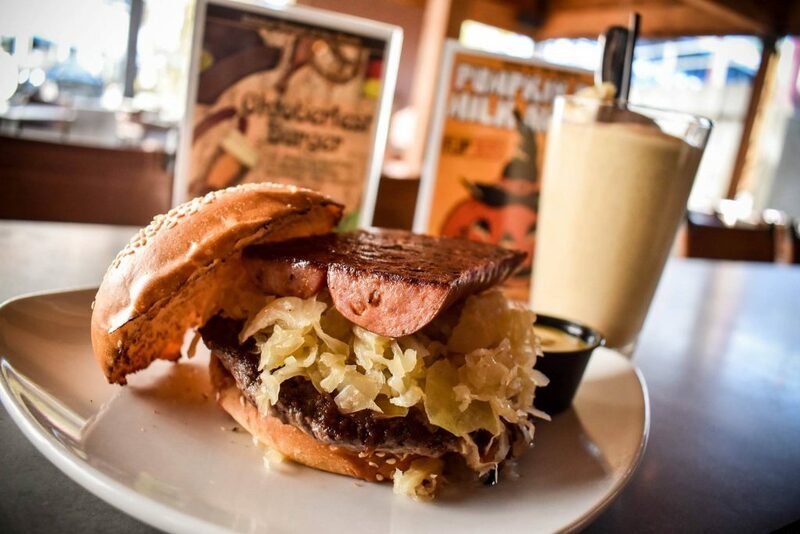 Top of the morning to ya! 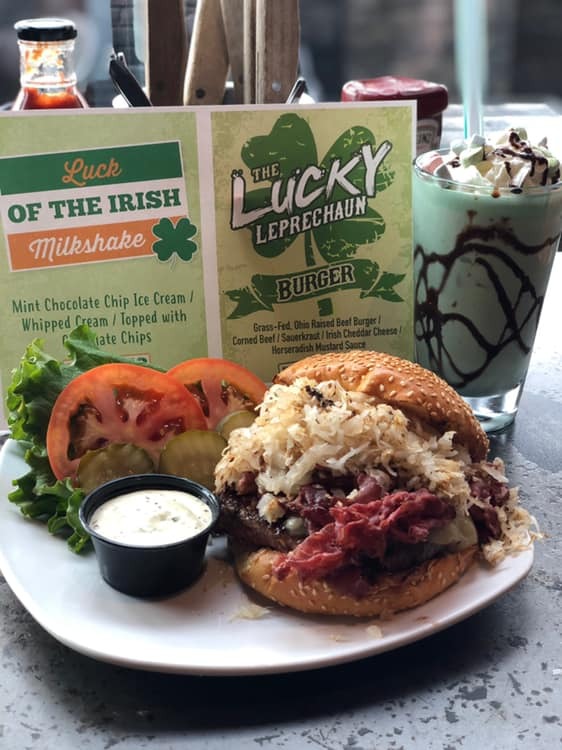 This march celebrate all things Irish at Flip Side with our Lucky Leprechaun Burger: with corned beef, sauerkraut, Irish cheddar and horseradish mustard sauce, and our Luck of the Irish Milkshake with mint chocolate chip ice cream, whipped cream and chocolate sprinkles! 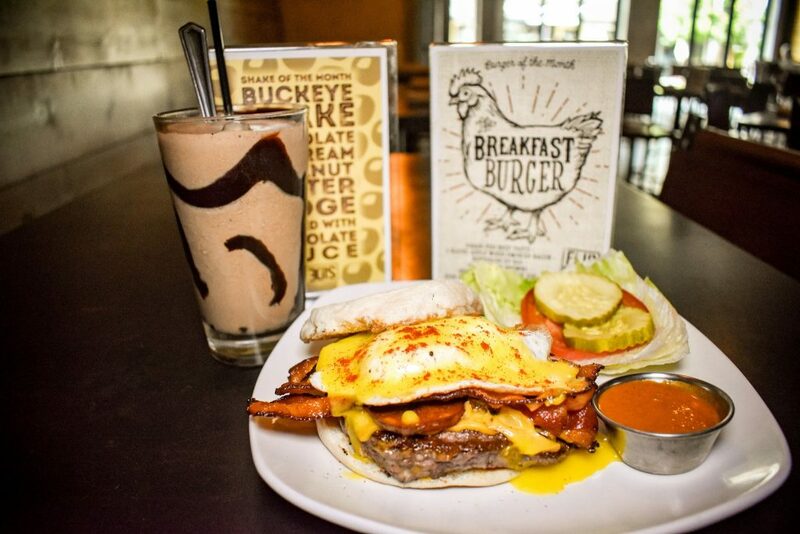 September Specials: The Breakfast Burger & Buckeye Shake! 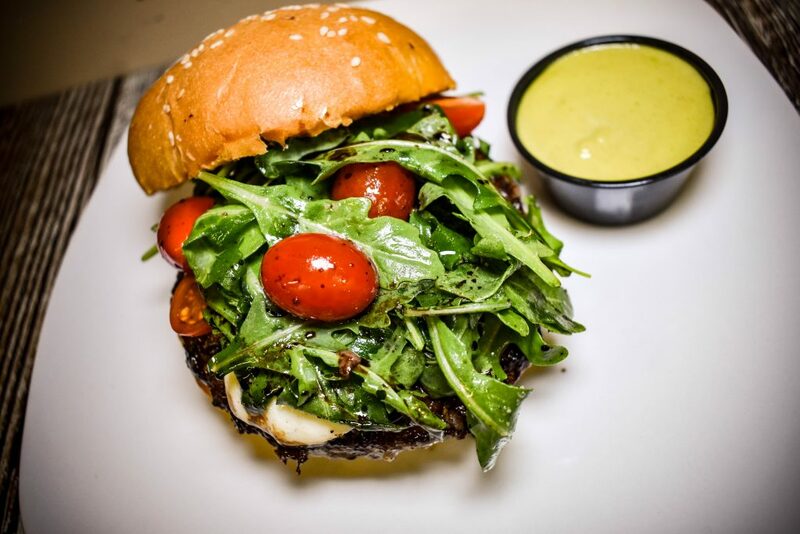 June Specials: The Ballparker Burger & Tropical Breeze Shake! 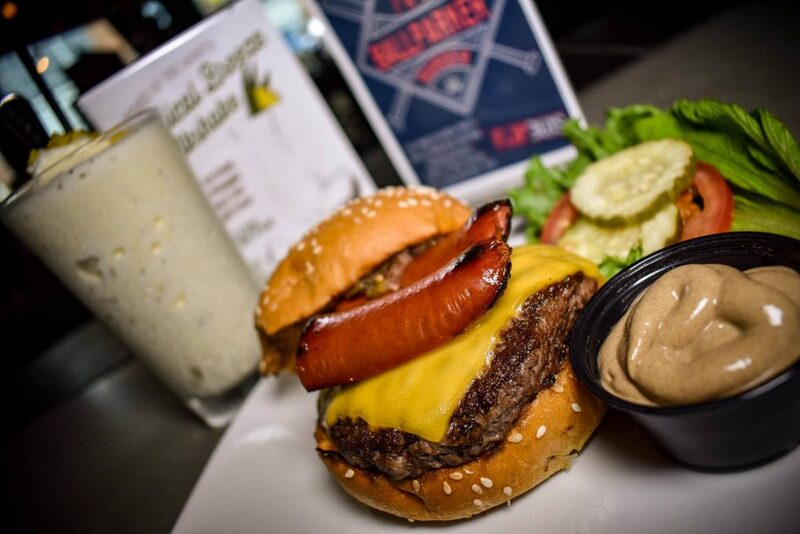 The boys of summer are back and so is our BallParker Burger: 7oz Grass Fed Beef Patty / Grilled Kobe Beef Hot Dog / Sweet & Spicy Relish / Ballpark Mustard! 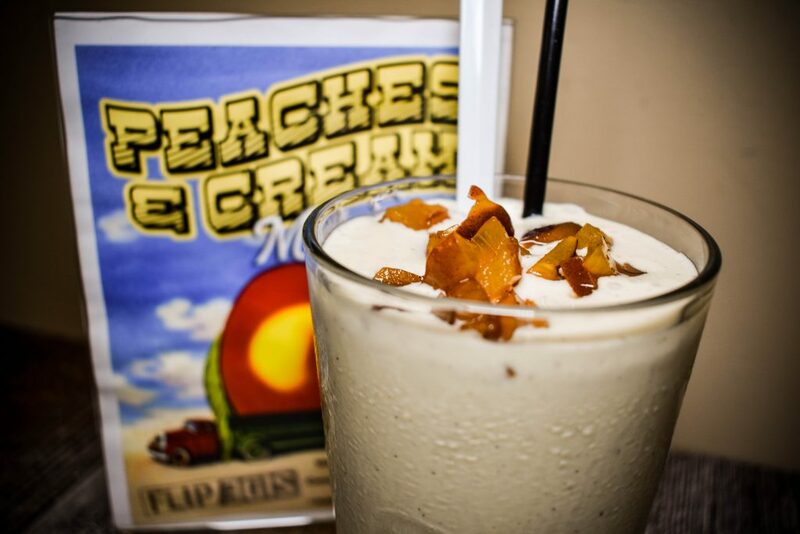 Our June Shake of the Month is the Tropical Breeze Milkshake: Coconut Ice Cream / Mango Pineapple Topping / and Lime Whipped Cream! 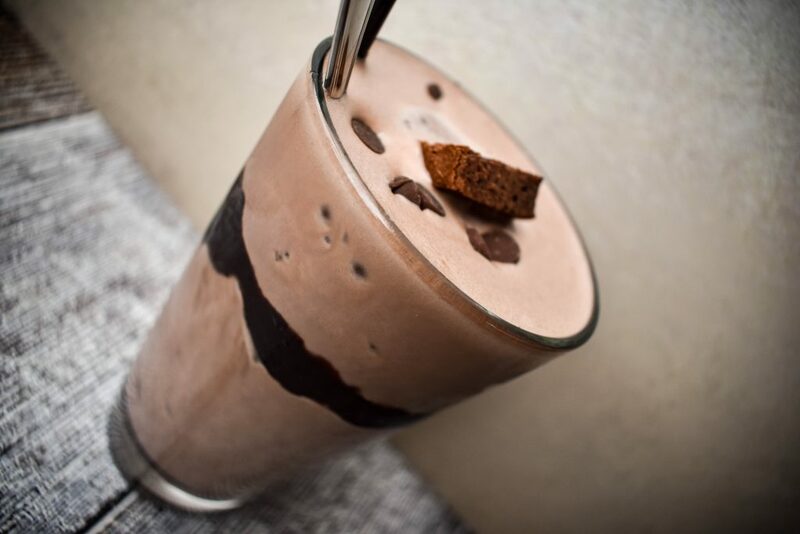 Indulge with this months shake special: Chocolate Ice Cream, Chocolate brownie chunks, chocolate chips and a chocolate drizzle!